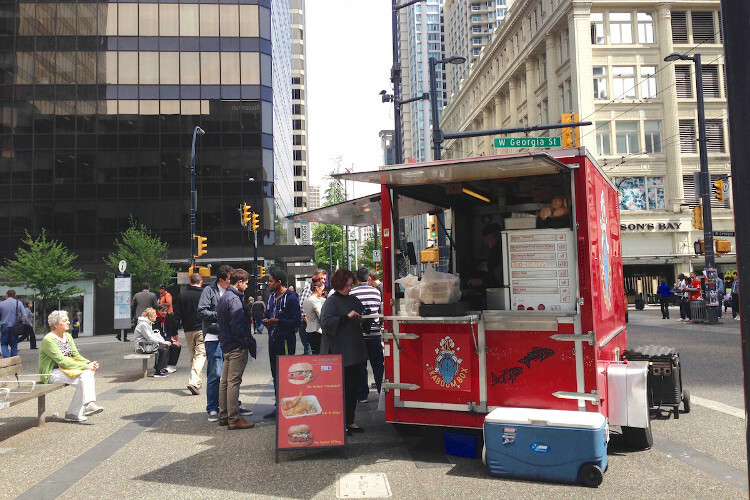 Long gone are the days of food carts peddling only hotdogs and pretzels – in Vancouver food trucks showcase multicultural menus and gourmet ingredients. Take Kaboom Box, for example which is a staple in the heart of downtown. 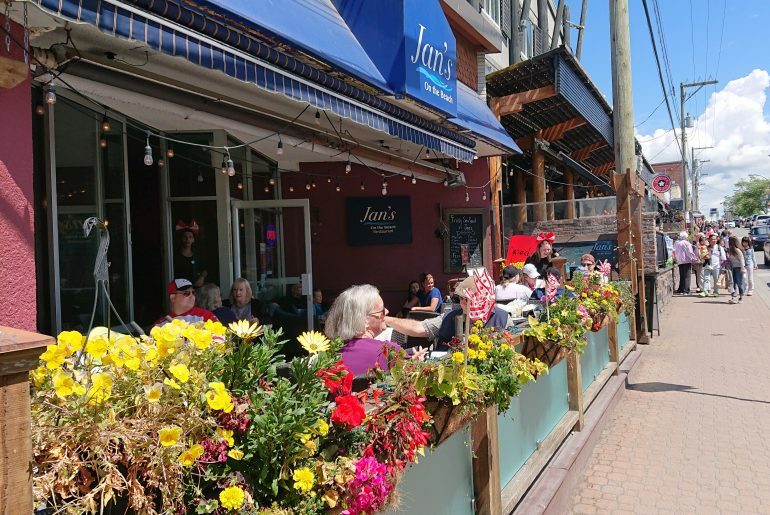 Locals swarm Kaboom Box on the daily, hungry for hot smoked salmon sandwiches, Pacific cod fish and chips, and gulf island oyster po’boys. 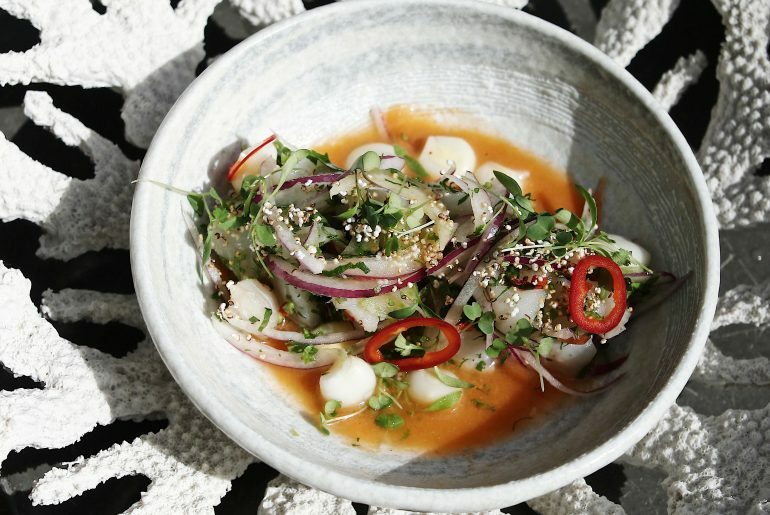 It’s an obvious case for seriously delicious coastal food. What may come as a surprise to first-timers, is that Kaboom Box is dedicated to certified Ocean Wise seafood and sustainably produced meat. Their greens are organic, and all items are sourced locally, whenever possible. The notes are subtle, and it takes a keen eye to spot the Ocean Wise sticker on the side of the truck. But perhaps that’s the greatest allure of Kaboom is that they’re hardly self-righteous – quality ingredients are just a part of what they do. “Really great” hardly encompasses Balino’s mouthwatering menu that has appeared on The Food Network and has earned accolades from around the world. 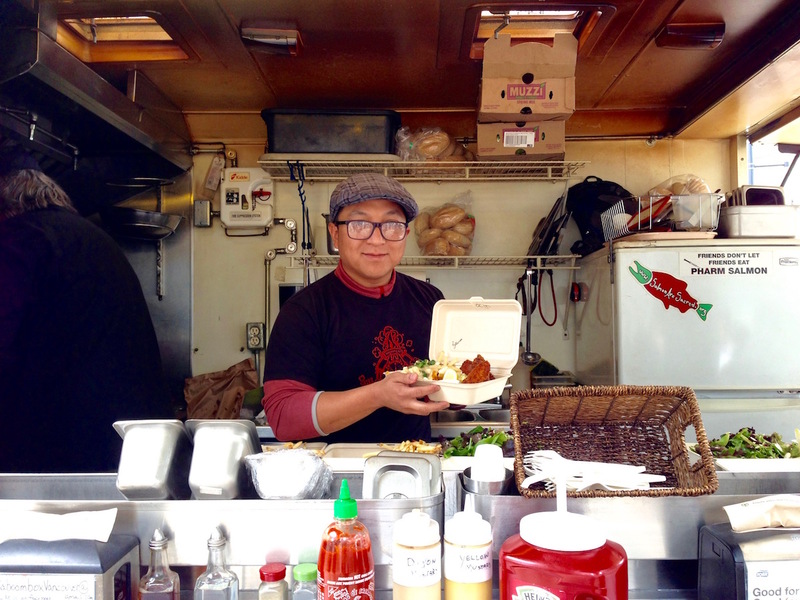 As lunch hour hits, a stream of hungry suits and pencil skirts come pointedly to the little red cart, rattling off “the usual” and chatting with Balino and Kaboom’s Chef Brian. The hot smoked salmon is the clear headliner, and the must-try for a first visit. Smoked on site, the fish is perfectly moist and impeccably fresh. 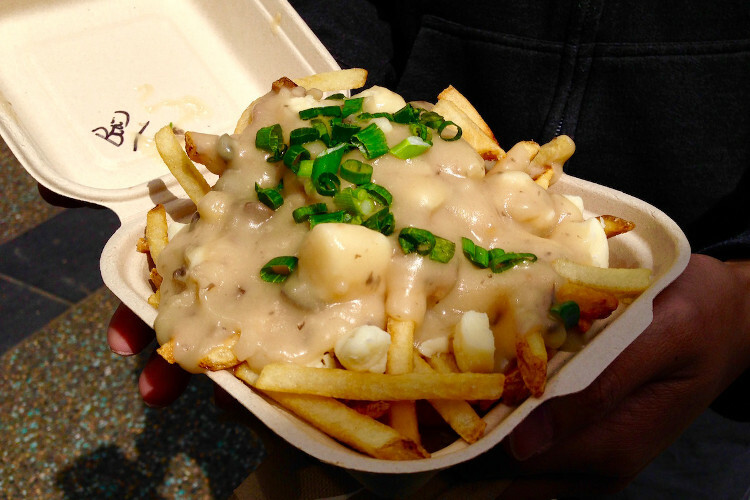 I’m hard-pressed to peel myself away from the seafood favourites, but the number of orders for the mushroom gravy poutine make for a compelling case! You can catch Bruce Balino and Chef Brian at Kaboom Box, Monday-Thursday on Granville and West Georgia Street in downtown Vancouver. Vancouver Foodie Tours runs food tasting and cultural walking tours to explore to one-of-a-kind dishes that define Vancouver’s culinary scene. Find out more at foodietours.ca.